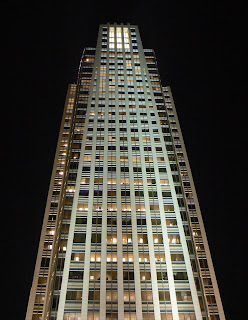 First National Bank Tower, also known as One First National Center, is located at 1601 Dodge Street in Omaha Nebraska. It stands 634 feet high with 45 floors. 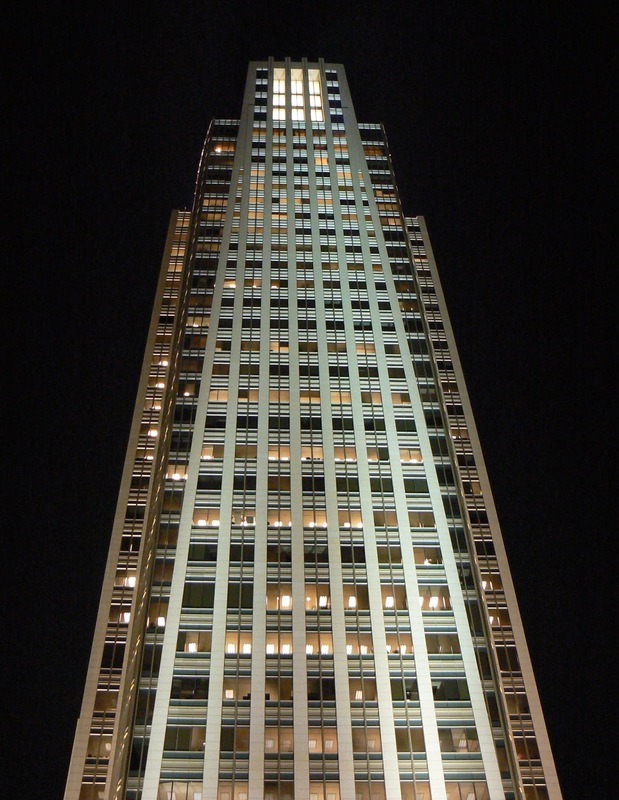 This postmodern skyscraper with its granite façade was completed in 2002, but it became the tallest building in the state on January 23, 2001, when its construction surpassed the previous record holding Woodmen tower at 458 feet tall. The world’s largest drilling rig was brought in from Denver to drill the caissons for the building. The lobby is home to a 60 foot tall glass winter garden, with a south wall incorporating part of the previous building’s façade. The Medical Arts Building stood 17 stories tall and was demolished to make room for this building. First National Bank Tower hosts an annual stair race called Trek up the Tower presented by The Wellness Council of the Midlands.